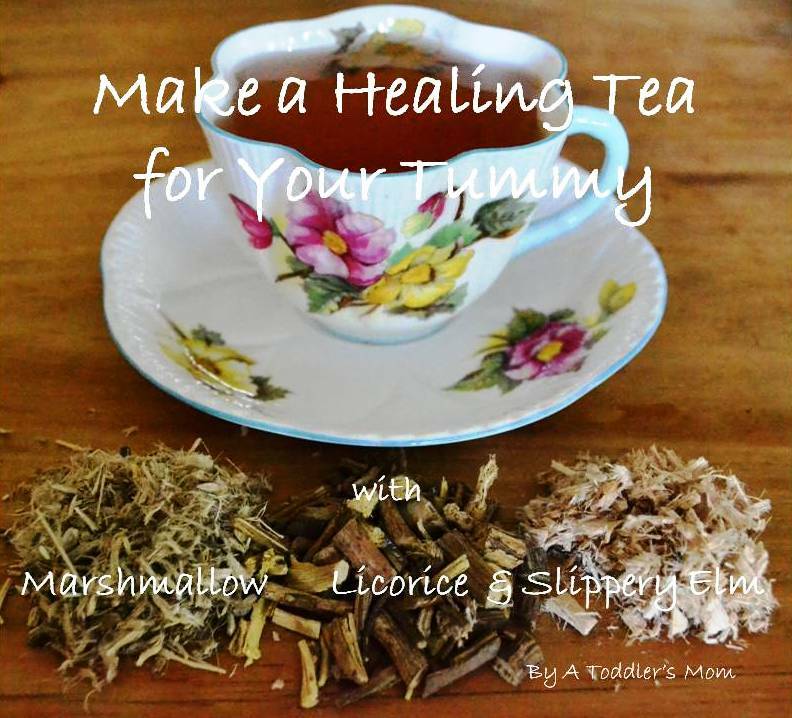 One of my favourite methods of calming our stomachs is drinking this soothing tea made from marshmallow, licorice, and slippery elm. This tea is very healing and soothing to the gastrointestinal tract. The marshmallow and slippery elm both contain mucilage which expands in water to become thick, like syrup. This slightly gelatinous tea then coats the mucous membranes of both the upper and lower gastrointestinal tract. It forms a protective lining that moistens and soothes. The licorice also has an anti-inflammatory effect. Together, these three herbs work together to promote healing for damaged tissues in the gastrointestinal tract. This tea is delicious on its own. It also tastes amazing when it is served warm or cold. We like to keep some in the fridge and drink it on a warm summer day. To get the most benefit, try to drink 2 – 4 cups daily. I have been giving it to my son since he was a baby and he has always loved it. He often reminds me to make it for him. I let him drink as much as he wants, since he seems to have good intuition for what his body needs. Mix all ingredients together and bring to a boil. Simmer for 15 – 20 minutes. Let the tea sit for a couple of hours (or overnight), then strain through a cheesecloth. Serve warm or cold.